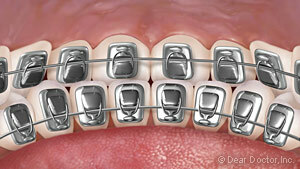 There are more and more adult orthodontic patients these days, and it's not hard to figure out why. Appliances that are barely noticeable have been developed to give adults more discreet choices when it comes to orthodontics treatment. And many adults realize that investing in a smile makeover can have significant benefits, socially and professionally. 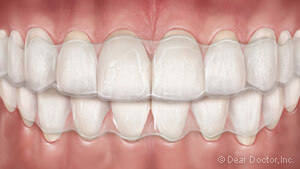 Straightening teeth can be an important part of that confidence-boosting makeover process. 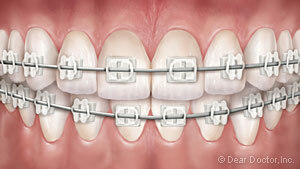 Healthy teeth can be moved at any age, so there's no such thing as being too old for braces. However, orthodontics treatment for adults is different in two important respects: For one thing, the growth and development of the jaws is complete in adults, so changes in actual jaw structure can't be accomplished with orthodontic appliances in the way they can with a growing child. 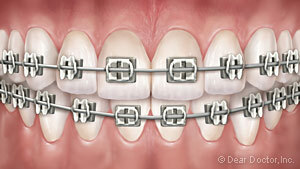 For more information on adult orthodontics in Worth, IL call All Smiles at (708) 448-0333 today! Also serving Palos Heights, Palos Park, Oak Lawn and Chicago Ridge, IL.